When on diet, it is important to get enough nutrition to keep you healthy and strong. Nutrition is crucial for your teeth as well. If you are struggling to find a good dentist, call West Cobb Dentistry to schedule a check-up as it’s much easier to prevent a problem, than to deal with it later on. Prepping your food ahead of time is honestly the #1 one strategy you need to implement to make sure you and your family eats healthy meals throughout the week. I know what you might thinking…Who wants to cook bunch of meals all at once! But hold your horses. What we are about to show you makes a lot of sense. 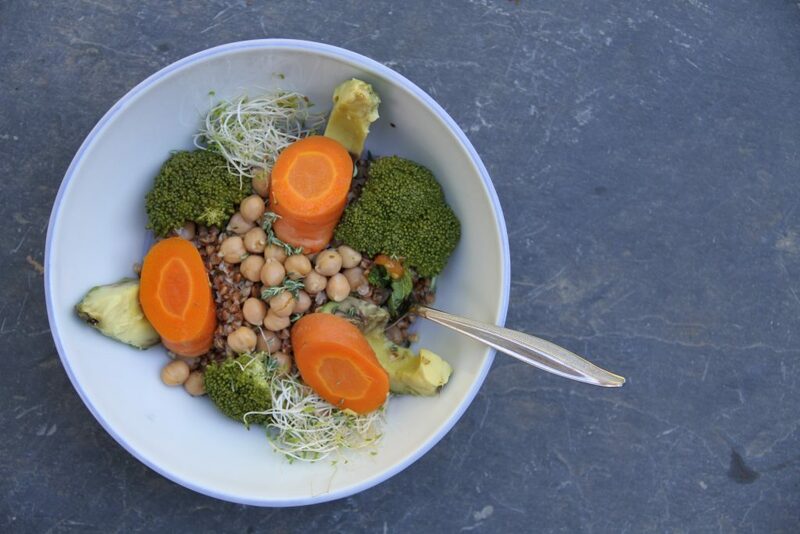 Today Nikki and I are sharing our Sunday ritual that takes the guess work out of our weekday lunches and dinners and guarantees healthy and nourishing meals to compliment our active lifestyle. You don’t have to do this on Sunday, of course. Choose any day of the week you like. For us Sunday is often the best day to dedicate time to this task as we happen to be more free and more relaxed. And it’s a time when we’re usually planning the upcoming week. Whatever day you choose, set aside 2-3 hours. Build your shopping list from the suggestions below. This will help you be as effective and efficient as possible when you tackle the store, and you’ll be less tempted to buy random (and unhelpful) things. Now decide what to do with protein. You can cube and marinate your tofu and tempeh (or leave it raw), cook the peas, edemames, beans and lentils. If you are using cans, make sure you rinse it well! 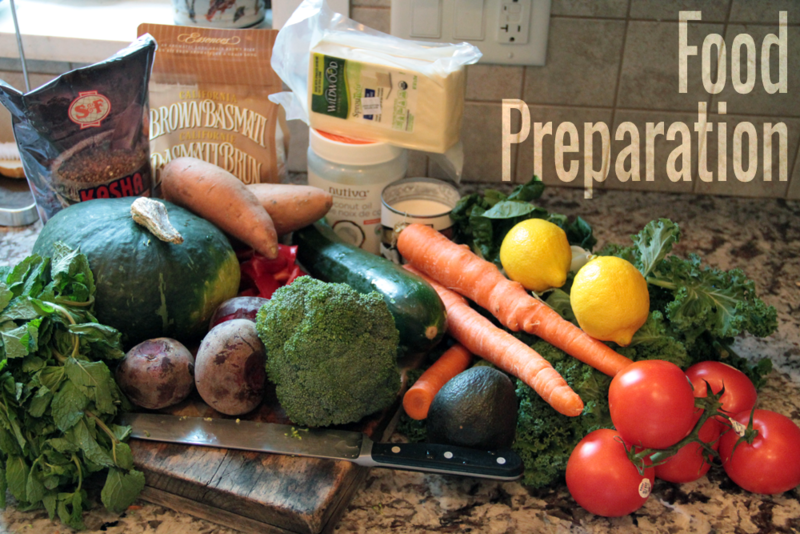 Once all prep is done, transfer individual items into glass containers and once cooled store them in the fridge. You are set for the next few days. 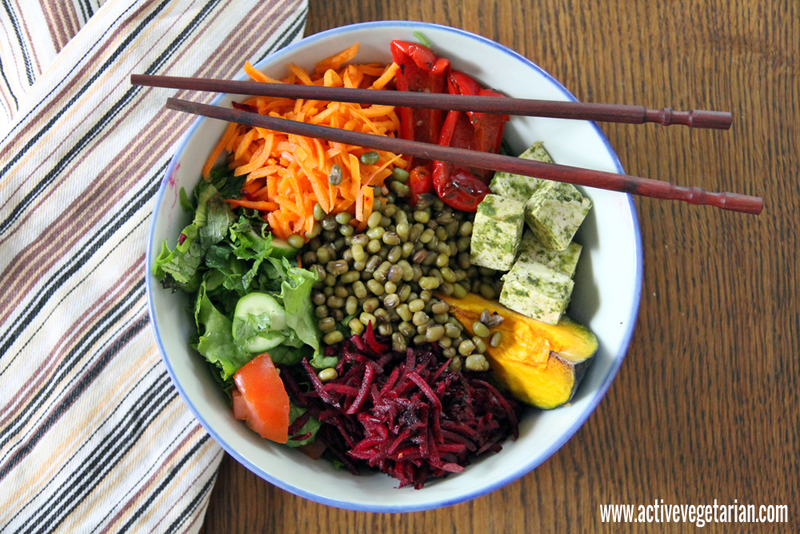 When it’s time for your meal all you have to do is grab a nice big bowl open up your fridge and create your nourishing vegan bowl. There are virtually endless variations you can experiment with. I like to start with a nice bunch of chopped greens. Allow your creativity fly and come up with some amazing combinations. See how simple it could be to ensure that you are eating healthy, wholesome meals day after day? I’m so happy to have found this site. I have now been vegan for almost a year. I love it. I’ve always worried about animals being raised for food. I didn’t really know about the possibility of a vegan diet till I met a young man in grad school who was healthy and happy and never seemed to be sick. We had lunch together one day. I had a hamburger, he had a salad. I asked about that and he said he was vegan. I asked “What’s that?” He told me. I countered with all the don’t-we-need-protein spiel I have come to know from the Other Side! ;D So I went sort of vegetarian for a long time, during which I married. 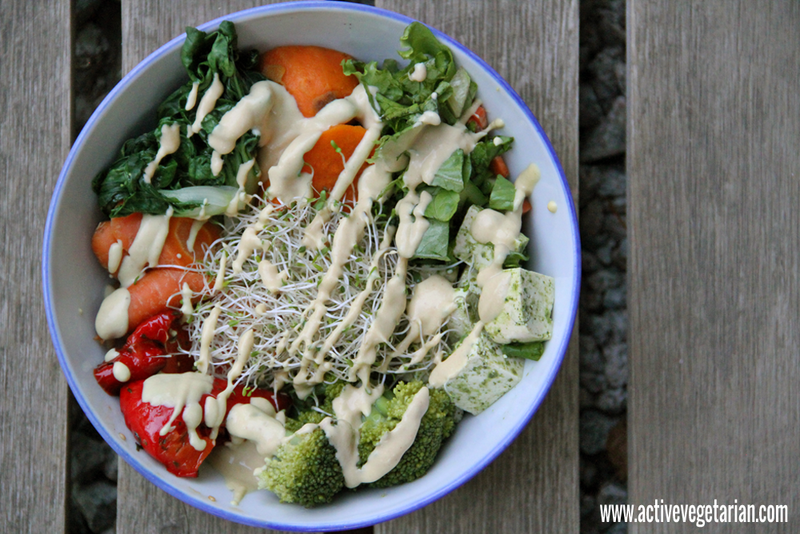 About three years ago, my husband, for health reasons, became a vegan, cold..uh…potato! ;D I followed because making two meals, and also, because curiosity! Love it for all the reasons. So here I am. Welcome to our site Shirley and thank you for reaching out! 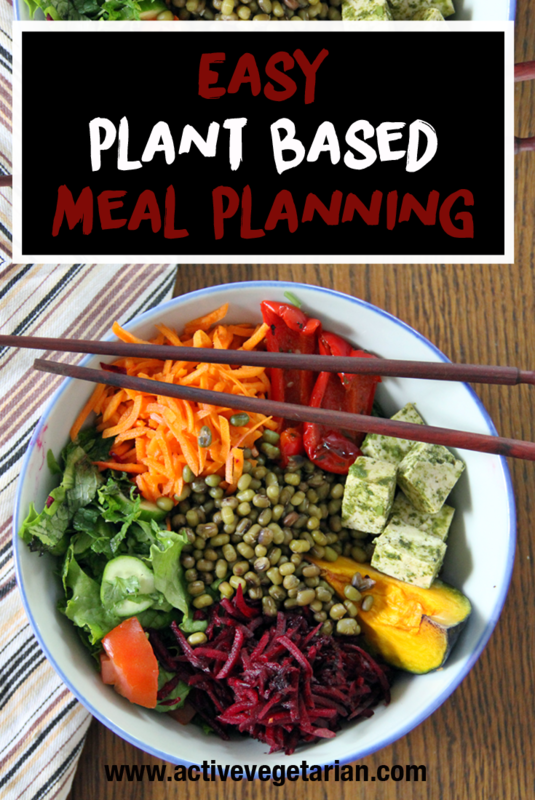 Plant based lifestyle – although at times challenging – is very rewarding. I hope Nikki and I can make it a bit less confusing and help you on your journey. PS. Good for your husband to go “cold potato” 😉 That requires a lot of self discipline.